At OCP Summit 2019 we saw a product the STH team has been anticipating for some time. We first learned that ASRock Rack was working on an AMD EPYC 3000 “Snowy Owl” product in 2018. Since then, we have been waiting patiently. 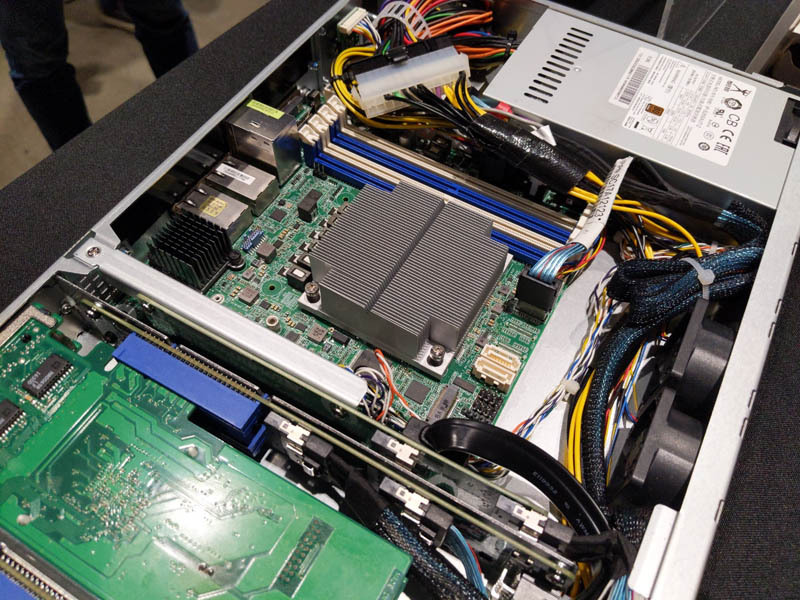 At OCP Summit 2019, the company showed off its ASRock Rack UCPE-EPYC3000 machine based on the new platform. 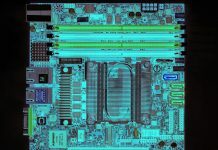 This is the concept behind the ASRock Rack UCPE-EPYC3000. The 1U short-depth server has a variety of networking options that are customized via add-in cards. This system is designed for deployment by service providers on their customer sites to provide network services. Apologies in advance for the show floor lighting. The mITX platform is designed around an AMD EPYC 3000 SoC. 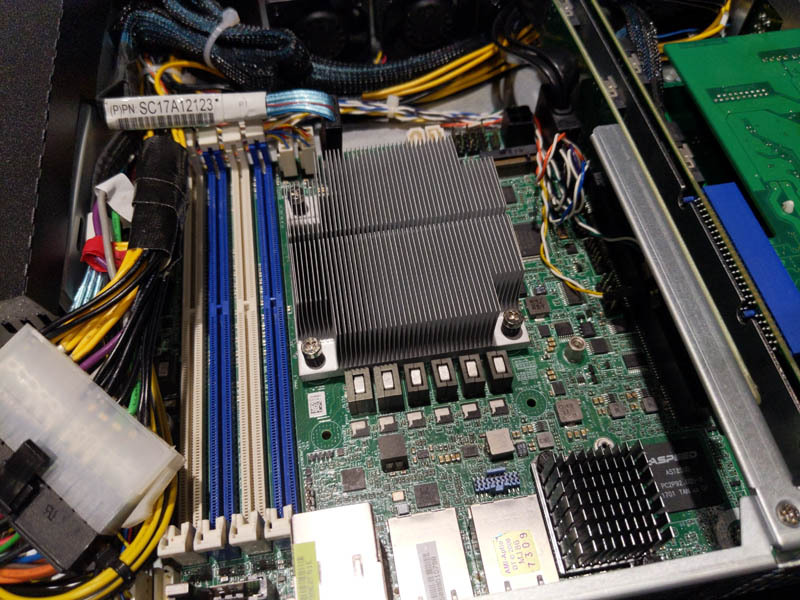 Like many of the EPYC 3000 systems we have reviewed, this one is a single die design. 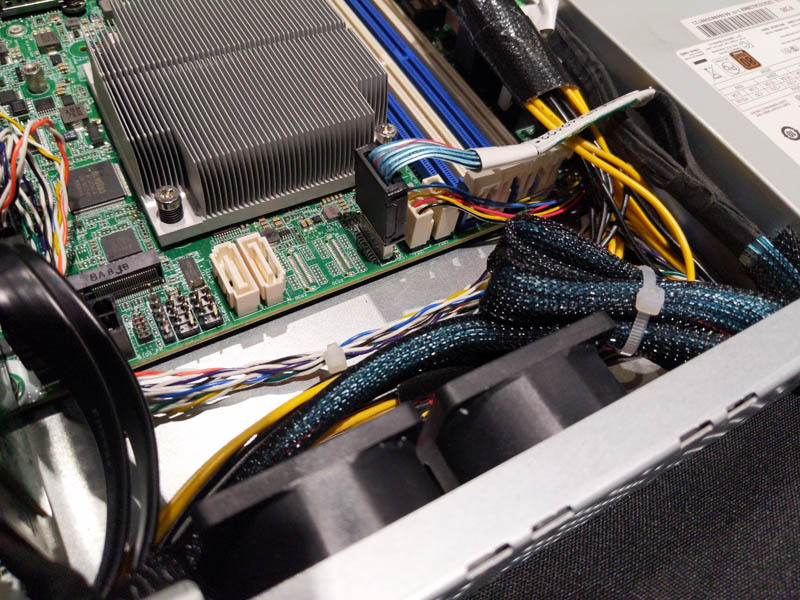 Like some of the Supermicro and other EPYC 3000 mITX platforms we have seen, the ASRock Rack UCPE-EPYC3000 platform has a 1U passive cooler on the SoC and does not have a standard ATX power connector. 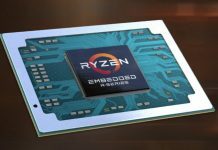 ASRock specs the server for up to 55W TDP SoCs which aligns well with the single die EPYC 3000 range. There are four DDR4-2666 DIMM slots supporting UDIMM, RDIMM, and LRDIMM memory. 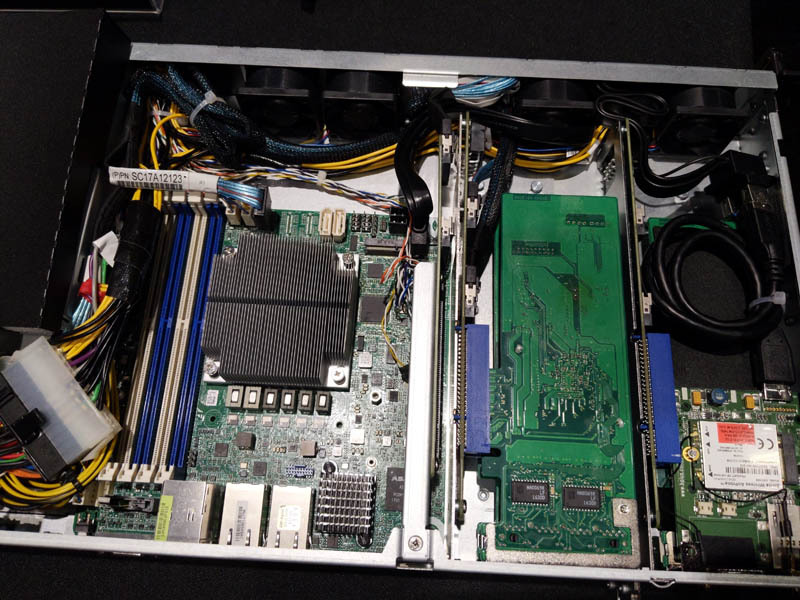 Under the second large heatsinks is an Intel X550 NIC that powers dual 10Gbase-T ports. There are two SATA III ports onboard along with an M.2 slot. In the ASRock Rack UCPE-EPYC3000 platform, the company bifurcates the PCIe x16 slot into two x8 slots. There is also a cabled PCIe x4 expansion slot. that you can see next to the SATA ports in this shot. Four 40mm x 28mm fans provide cooling in this 1U at speeds of up to 14500rpm. No word on shipping dates yet, but this has gone from a design concept to physical inception. We will keep our STH readers posted if and when we get to test one so we can compare it to other AMD EPYC 3000 solutions we have tested. For STH followers who also look to buy for the home office and SMB, it would be great to see sound volume levels for the reviewed equipment when operating (perhaps even idle/load measurements). Owning a machine like this at home would be great. Keeping the gf is a priority however. Passive cooler? And those 4 fans in the front of the chassis?